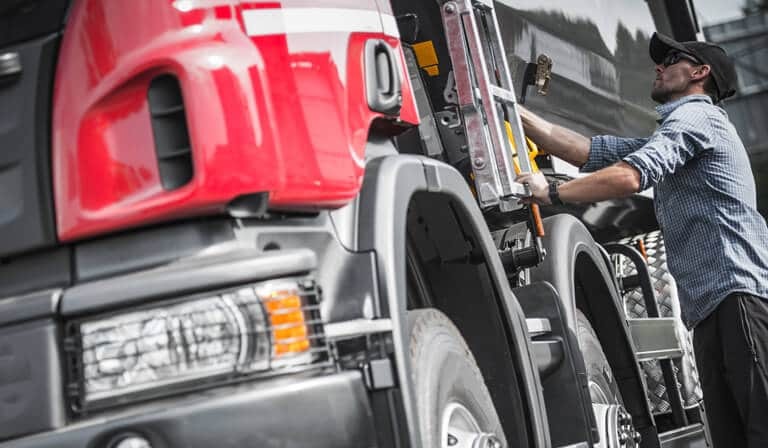 The quality of your roadside assistance provider is a critical consideration when maintaining uptime of your vehicles and protecting your fleet. There is a clear correlation between tire issues and vehicle breakdowns. Ensuring that your roadside assistance company specializes in tire maintenance can help to protect your drivers and your fleet. In this new post, we’ll explain the importance of working with roadside assistance teams in resolving commercial tire problems. When a commercial tire blows out on the road, the vehicle may not be able to drive any further. This means your vehicle is stranded until that tire is replaced, which costs you money. By working with a qualified roadside assistance company that provides above industry standard roll times you will decrease your vehicles downtime. A quality roadside emergency company will also ensure that the correct tire for your industry needs is installed on your downed unit. These companies can also create customer profiles to ensure a tire of your company’s preference is installed. Even the highest quality tire products are not immune to punctures and other issues that cause a flat tire. All emergency roadside assistance companies may attempt to repair punctures, but you want to make sure that the repair is completed by a TIA 300 certified technician. If the tire is unrepairable then you the right company can ensure not only that the tire is replaced by a quality product but that the tire replacement work is completed within a consolidated timeframe. One of the leading causes of mechanical breakdown is low transmission fluid. Having a roadside assistance company on hand ready to respond and deliver oil and other fluids for the vehicle will help to get the vehicle back on the road again quickly. During this process, the roadside repair team can also check other elements of the vehicle to ensure that the truck is in optimal condition for meeting customer needs during the journey. Another element of the roadside assistance service is providing access to the vehicle for drivers that are locked out. Working with a qualified roadside assistance company can ensure drivers achieve quick access to locked vehicles ready to return to their route in a short timeframe. Our qualified team at STTC has many decades of experience in the roadside assistance industry. We’re equipped to handle all roadside challenges and can help support your fleet in meeting its operational needs for the years ahead. To learn more, contact us today.